This is an easy suburban walk on Hobart's eastern shore, which I did the other week in between (and during) rain showers. 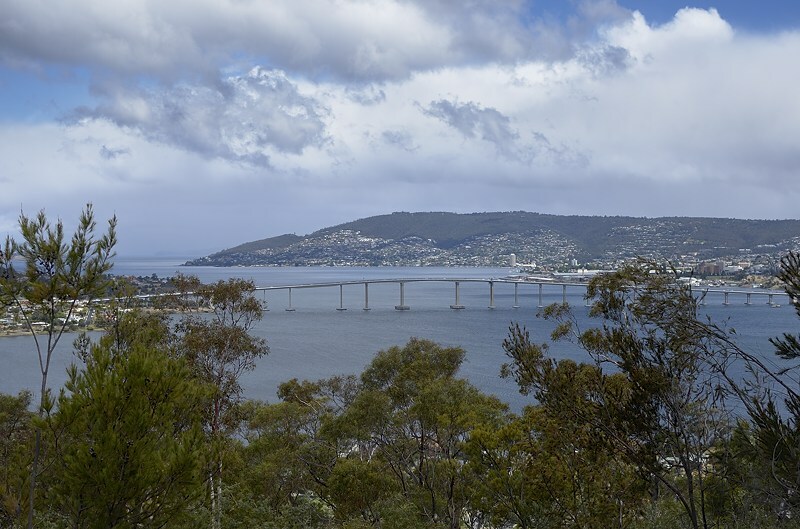 It has good views of Mount Wellington and the Tasman Bridge. Driving from Hobart, cross the Tasman Bridge and head left for Geilston Bay. At the Geilston Gay traffic lights, turn left and then left again into Nubeena Street. head up the hill and park below the walking track which crosses the top of Nubeena Street. You can wander about the hill on a variety of tracks as much as you like. I suggest an anti-clockwise circuit, so turn right and head around the north side of Natone Hill, with views of Geilston Bay (the bit with water in it!) and industrial establishments across the River Derwent such as Selfs point and the zinc works. 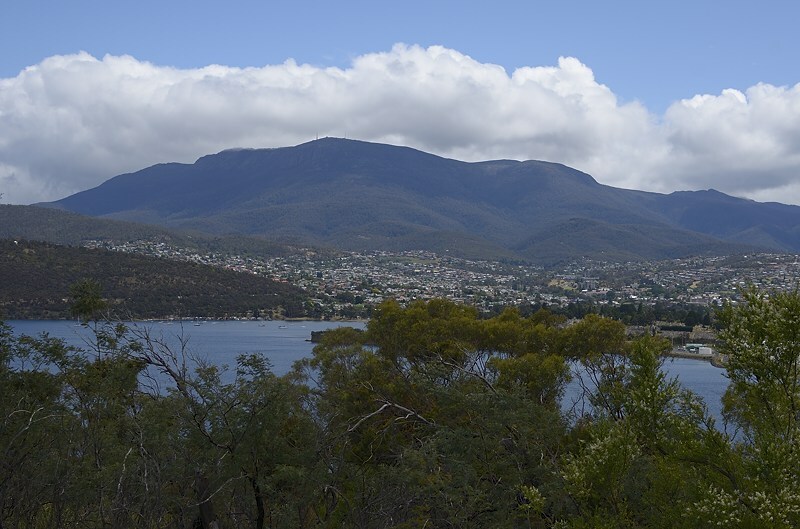 Views of Mount Wellington open up. You will come to a track heading uphill on the left, named the Selfs Point View Track. This climbs steadily to the top of the hill, with better views of the mountain opening up. From the top, another track heads down towards the Tasman Bridge, and provides good views of it. Turn left on a walking track before you reach Tianna Road, and this will wind back around the hill to return you to the start. The walk will probably take less than an hour. I went round twice to explore more than one route. This is a good easy walk in the bush for those days when the weather isn't great or you don't have much time.